The rollout of 5G networks will be delayed if the UK government bans the use of Huawei equipment, the boss of mobile operator Three has warned. A UK government telecoms infrastructure review is nearing completion amid pressure from the US for the UK to ban the Chinese telecoms giant from involvement in 5G networks. David Dyson from Three said a ban could delay its rollout by up to 18 months. 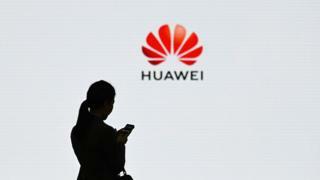 Huawei has rejected claims it poses a security threat. Similar concerns about delays to the rollout of 5G technology were voiced by Vodafone earlier this month. Mr Dyson said that Huawei equipment was part of Three’s plan for 5G. “We’ve already started to deploy equipment for when we launch 5G in the second half of the year,” he said. Mr Dyson said Huawei was just one of its suppliers, but stressed that Three had consulted the government about security issues and was confident that the Chinese firm did not pose a threat to its customers. “Huawei met all of the standards that the other operators met, and we felt at the end of that process that Huawei was the right choice for our customers and for our business,” he said. Mr Dyson also warned that a ban would pose a risk to the UK’s 5G ambitions. “It is seen as an important element in terms of how the UK economy does develop over the next five to 10 years,” he said. 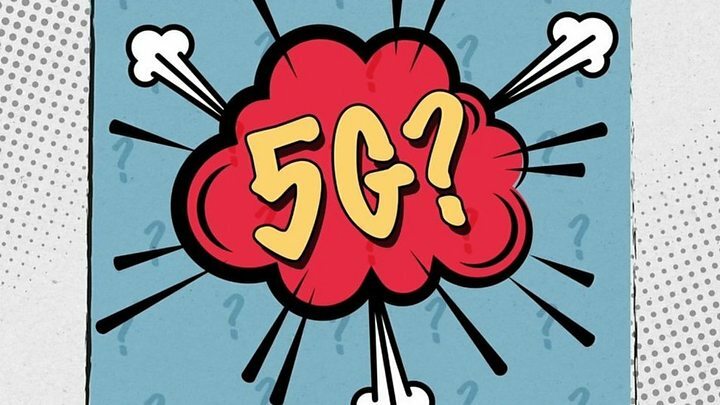 “So I think any sense that there is a delay to the start of rolling out 5G will have implications for the broader economic environment in the UK,” he added. Earlier this month, Vodafone’s chief technology officer Scott Petty said the cost of banning Huawei would be vast. He said a ban would require his company to strip Huawei equipment out of its existing 4G network. “The cost of doing that runs into the hundreds of millions and will dramatically affect our 5G business case,” he said. Several governments around the world have blocked telecoms companies from Huawei equipment in 5G networks, citing security concerns, but so far the UK has held back from any formal ban. The government infrastructure review is expected to be completed next month. Asimov's 2019 predictions – fiction or fact?